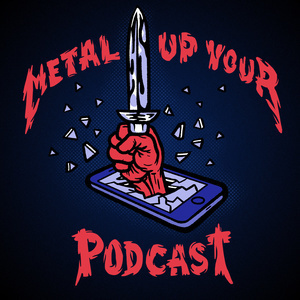 We're closing in on 100 full episodes and what better way to creep to celebrate than with Slipknot drummer, Jay Weinberg! This is a long one! Jay was very gracious with his time and we covered so many topics. His upbringing in New Jersey, growing up the son of E-Street band drummer Max Weinberg, going to shows at a young age, backstage at Conan, touring with The E Street Band as a teenager, playing for Bruce Springsteen, meeting Lars Ulrich before learning drums, a family outing at Ozzfest, joining Slipknot and an insane amount more! We even crammed in a special edition of Metal Madness. Thanks again to Jay for taking the time out of his crazy schedule to sit down and chat with us at HQ1!